My question has a bit of a back-story to add context. Firstly, like most Attack on Titan fans, I am OVERHYPED about the second season coming out. I was talking with a friend on campus about it, then she pointed out that its release date is April 1st (as confirmed on polygon.com) and implied it could be a prank. (Knocking on wood) I really hope it's not but it got me thinking. Has an April Fools prank ever been conducted by an anime studio or manga publisher to falsely claim to release a new series or a new installment of an existing series? I could imagine so since western culture is kind of acknowledged all over and we see some westernized themes, contexts and holidays in anime sometimes, but at the same time I don't think Japan has an equivalent of April Fool's day. Yes. The examples I know of is from Type-Moon. As we can see from the link, almost every year since 2005 Type-Moon has came out with an April Fool's Joke ranging from fake movies to games featuring characters of the Nasuverse. Even Ufotable, the animation studio involved with Kara no Kyoukai, Unlimited Blade Works, Fate/Zero, Tales of Zestiria the X and God Eater played along in 2009 by listing an anime adaptation of a parody of Densha Otoko called Sensha Otoko: A True Tank Story (戦車男, Tank Man) featuring Iskander and a gender-swapped Waver Velvet. One of the films joked about is an adaptation of Kara no Kyoukai Mirai Fukuin, an epilogue to Kara no Kyoukai. It was decided it would be done as a real film several years later. Hm, what? You'd like to know if it's okay to get your hopes up for EXTRA3? Huhu, oh troubled one, allow me to ease your suffering. Yes, you may. Have faith in me! I'm sure they shall work something out! A second season of the anime series was announced on the opening day of the first theatrical film, which was originally set to be released in 2016. 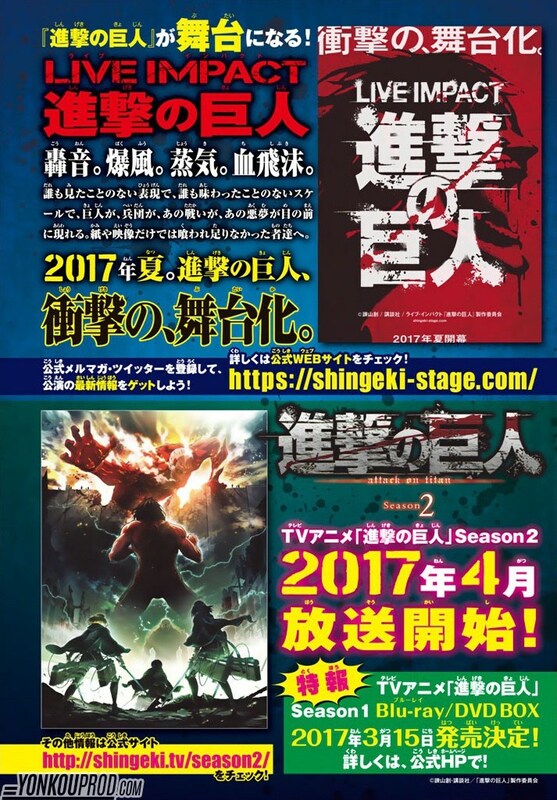 It was then confirmed in the January 2017 issue of the Bessatsu Shōnen Magazine that the second season will premiere in April 2017. I'm not fluent in Japanese but I knew Year and Month and all it shows is April 2017, not April 1st, 2017. Given that Season 2 was announced during the opening day of the first film which was way back in 2015 and the magazine only indicates a month, to me this doesn't seem like an April Fool's joke since it's too long running. Not the answer you're looking for? Browse other questions tagged anime-production culture anime-history japan or ask your own question.